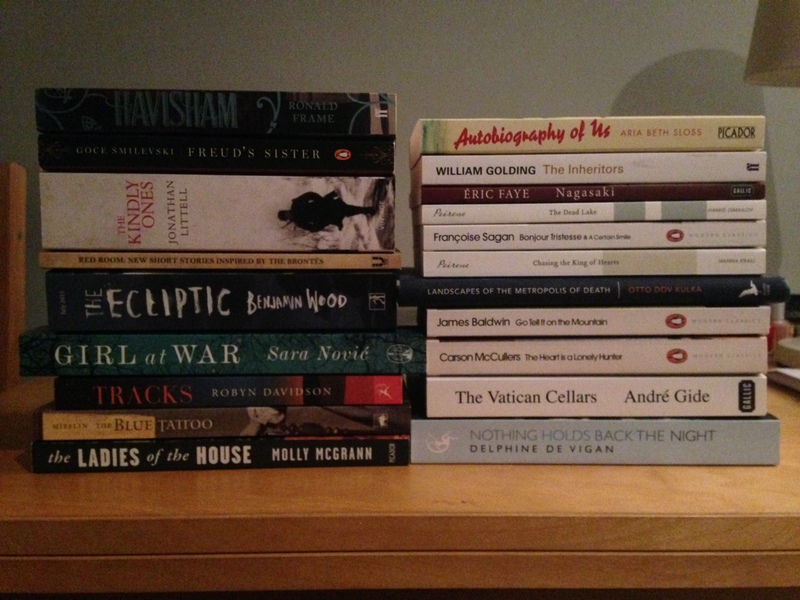 In my last post I wrote about the troubles of having too many books to read. I also posted recently about using a book jar, something which I have, and am able to use – but haven’t yet, because really I haven’t needed to. Really it’s there just in case I need it. But frankly it isn’t helping me to work through my TBR. Ah, the TBR. The thing that book bloggers both love and loathe. Our To Be Read list (often a physical heap) is something that gets us happy and excited, but also make us nervous, and can sometimes be overwhelming. So what is TBR20? It’s basically a way to cut through the TBR, and I think it’s fantastic. It was created by blogger Eva Stalker, who tweets and posts about it regularly. A lot of bloggers I follow mention it often enough for me to have considered doing it. And now I’m gonna! The premise is: in order to help you work through your TBR, you pledge/actively decide to read 20 books from it before you buy any more. Simple enough, but not buying books is hard. Not any at all?? Not even one? Nope. Doing the TBR20 puts an embargo on book purchases and forces you to pay attention to the books you have, some of which might have been waiting weeks and months (or years…) to be read. Which is just silly and pointless. I’ve included the proofs I currently need to read (Girl at War, Ladies of the House, The Ecliptic) as well as several books I’ve been meaning to read for a long (long) time. I’m currently just under halfway through A Clash of Kings, so this project will start once I finish that, so… mid March I expect. I will be posting my reviews as well as my thoughts on the process as I go along. Wish me luck!! Anyone else done/doing the TBR20? The #TBR20 hashtag on Twitter is the perfect way to join in! Good luck! And what a nice selection of books! I have Chasing the King of Hearts on my TBR too! Thank you! I’ve had my copy for a while and haven’t had the impetus to pick it up, though I think I’ll enjoy it – so now I will finally read it! Some excellent titles from Gallic Books and Peirene in that collection, look forward to the reviews, well done for whittling it down to 20! Yes, good luck! I’m not courageous enough to do it. I love The Heart is a Lonely Hunter, one of my all time favourite books. I’ve read about half of THiaLH, but had to leave it in order to read books for uni… in 2008. So I really should pick it up again! I loved The Member of the Wedding and Reflections in a Golden Eye, so I think I’ll love it. You have a wonderful selection of books there – good luck with the challenge! I’m struggling as well. Hmm, I might have to try this. (After my birthday, though, because I can’t not buy books on my birthday.) Good luck with your list! Thank you! It’s difficult already resisting new books!